Saturday morning at DerpyCon was a blast. The place was packed, the people were excited and there was the wonderful con buzz that happens when everything is going right. I was zipping around trying to get as many interviews as I could all the while being a bit overwhelmed. 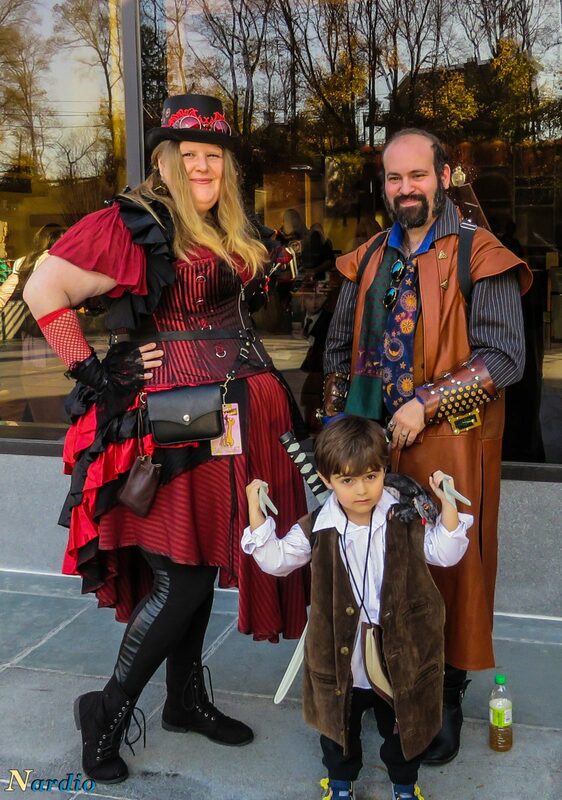 All of a sudden I spotted an adorable couple who were in Steampunk. 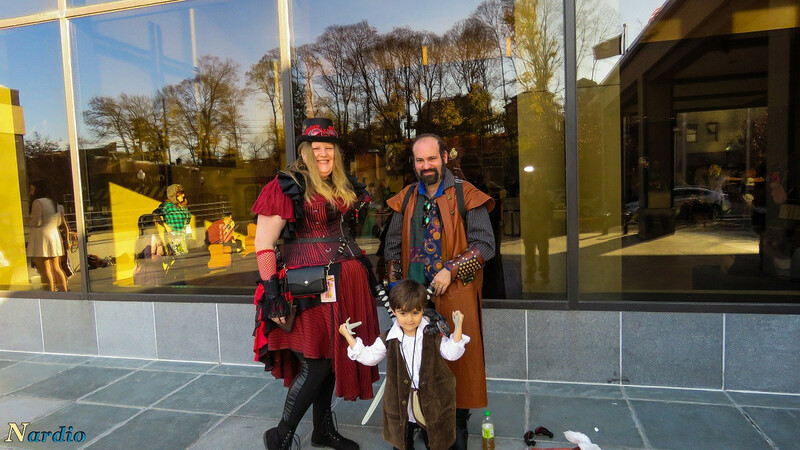 Then I looked a little bit closer and they had an adorable little boy who was also in some cool Steam Punky clothes. My heart melted and with a huge grin on my face I walked over and begged for an interview. Say hello to Colleen, Adam and their wonderful son. I loved them. So nice, so welcoming, so enthusiastic about what they loved. They made my morning and helped center me when I was overwhelmed. There is something about spending time with a happy family that is just soothing. Sure this isn’t my normal cosplay coverage, but the same spirit is here. They love what they are doing, they love the community, they look awesome and darnit they deserve the spotlight to. I love that before and after the interview they took time to share their experiences and point me towards steampunk events that would be accessibly to me. Looking back at this interview I’m kinda sad I didn’t take more pictures of their outfits and the little details that made them pop so much. 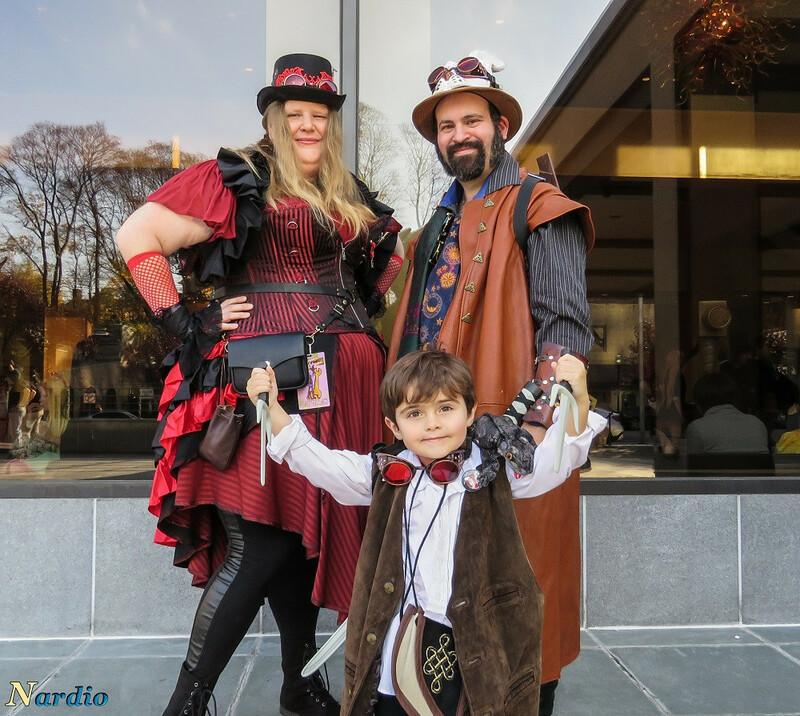 I have always wanted to get into steampunk and attend events, thanks to this wonderful family I definitely will.